What’s the Deal With Mary? This was a question I asked a lot in my early twenties, when I was looking into joining the Catholic Church. Having grown up a Protestant, the idea of Marian devotion always seemed bizarre and heretical to me. I have since made peace with the Church’s teaching on Mary. I even have icons of her hanging in my house and wear a miraculous medal around my neck, but I haven’t really gotten to know her. Until this year. She keeps popping up everywhere! From my spiritual director encouraging me to develop a Marian devotion, to priests in Confession telling me over and over to ask for Mary’s help in living my vocation, to our entire Blessed is She team doing a Marian consecration in May, I am getting the feeling the Holy Spirit wants to show me how Mary can help me live this Christian life. 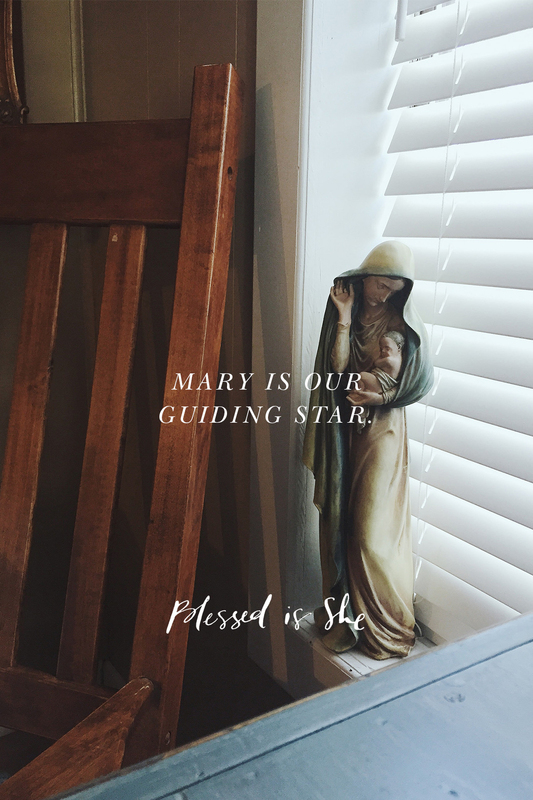 Mary is our guiding star, constantly pointing us to our main goal—her Son. Jesus gave her to us as our Mother for a reason: He knew what a mighty help her intercession would be to us in getting to Heaven. Knowing and doing the will of God is not always easy. Have you tried asking for Mary’s help? I am slowly remembering to do this and whenever I do I am not disappointed. Mary knows how sweet it is to do the will of God, and she is eager for us to do the same. Mary knows how sweet it is to do the will of God. Let’s let her help us. Talk to your Mother today.